Shares of Rolls-Royce Holding PLC with ticker code: LON:RR has stepped up 3.36% or 35.5 points in today’s trading session so far. Investors have remained optimistic while the stock has been in play. The high for the period has reached 1096.5 dropping as low as 1061.49. Volume total for shares traded during this period was 3,611,914 with the average number of shares traded daily being 5,294,296. The stock 52 week high is 1096.5 around 38.5 points difference from the previous days close and putting the 52 week low at 9.88 which is a difference of 1048.12 points. Rolls-Royce Holding PLC now has a 20 SMA at 998.98 and a 50 day SMA of 943.3. Market capitalisation is now £20,510.12m at the time of this report. The share price is in GBX. Mcap is measured in GBP. This article was written with the last trade for Rolls-Royce Holding PLC being recorded at Friday, August 3, 2018 at 12:09:40 PM GMT with the stock price trading at 1093.5 GBX. 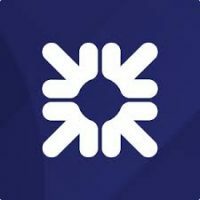 Shares of Royal Bank of Scotland Group plc with EPIC code: LON:RBS has increased 3.52% or 8.8 points in today’s trading session so far. Market buyers have so far held a positive outlook during the session. The periods high figure was 259.8 and hitting a low of 255.1. The total volume traded so far comes to 14,951,100 while the average shares exchanged is 22,131,128. The stock 52 week high is 304.2 amounting to 54.1 points in difference on the previous days close and a 52 week low being 239.6 making a difference of 10.5 points. Royal Bank of Scotland Group plc now has a 20 simple moving average of 249.64 and also a 50 day moving average of 259.84. This puts the market cap at £31,339.10m at the time of this report. All share prices mentioned for this stock are traded in GBX. Mcap is measured in GBP. This article was written with the last trade for Royal Bank of Scotland Group plc being recorded at Friday, August 3, 2018 at 12:09:26 PM GMT with the stock price trading at 258.9 GBX. 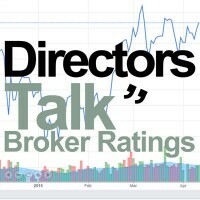 Shares in SCHRODERS/PAR VTG FPD 1 ticker lookup code: LON:SDR has moved up 2.02% or 62 points in today’s trading session so far. Buyers have remained optimistic during this period. The periods high has already touched 3147 dropping as low as 3083. The number of shares traded by this point in time totalled 86,551 with the daily average at 502,312. A 52 week share price high is 3784 which is 710 points in difference on the previous days close and a 52 week low being 3027 making a difference of 47 points. SCHRODERS/PAR VTG FPD 1 now has a 20 SMA of 3205.35 and also a 50 day moving average now at 3227.76. This puts the market cap at £8,362.09m at the time of this report. The share price is in Great British pence. Mcap is measured in GBP. This article was written with the last trade for SCHRODERS/PAR VTG FPD 1 being recorded at Friday, August 3, 2018 at 12:08:12 PM GMT with the stock price trading at 3136 GBX. The trading price for Scottish Mortgage Investment Trust PLC EPIC code: LON:SMT has increased 2.87% or 15.26 points throughout today’s trading session so far. Market buyers have so far held a positive outlook during this period. The high for the period has reached 548 dropping as low as 535.5. The number of shares traded by this point in time totalled 918,609 whilst the average number of shares exchanged is 2,425,243. The 52 week high is 563.07 about 31.57 points in difference on the previous days close and a 52 week low being 407.1 which is a difference of 124.4 points. Scottish Mortgage Investment Trust PLC now has a 20 moving average of 549 and now a 50 day simple moving average now of 539.52. This puts the market cap at £7,862.42m at the time of this report. Share price is traded in GBX. Mcap is measured in GBP. This article was written with the last trade for Scottish Mortgage Investment Trust PLC being recorded at Friday, August 3, 2018 at 12:08:40 PM GMT with the stock price trading at 546.76 GBX. Click RBS RR SDR SMT for the full archive.